We are a rapidly growing company operating on the market since 2003. Such a long period helped us to develop our own brand, which stands for a high quality, as well as to gather experiences allowing us to constantly improve our technology of production. 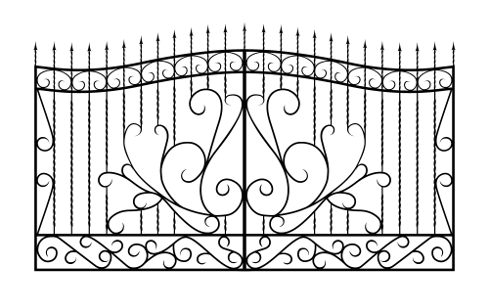 Our core activity is the production of decorative and ornamental ironwork . We have our own workshop, machinery and stock facilities. We are proud to offer a wide selection of design and materials, so we are able to provide the tailored solution for every customer, depending on expectations and financial means. Our good name is built on the reliability , attention to details, high quality of the service we provide and short terms of orders executions. It all makes that customers come back to us with new orders and gladly recommend us further. All our products can be installed throughout the country, according to the agreed schedule. We encourage you to familiarize yourself with our offer and gallery so that we can implement the best solution meeting your needs.